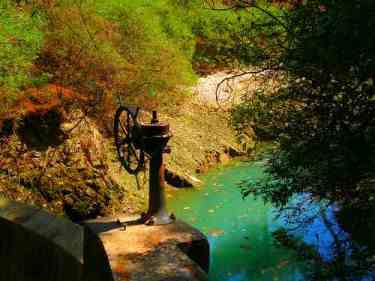 The Seven springs are located 25 km southeast of Rhodes Town, between Archipolis and Kolymbia. Seven Springs are called “Epta piges” in Greek. When visiting this place, you are about to enter a small secret paradise, with lots of pine trees and amazing flow of crystal water, surrounded by greenery that reveals the greatness of nature. The river flows whole year and never dry even in summer season. The place, owes its name in the natural springs that are found there. The water spouts from seven different places, all ending up in a streamlet, that leads to a lake through a tunnel. The Seven springs lead to a lake where you can see ducks, geese and peacocks. It’s worth to visit the tunnel that leads to an artificial lake. By visiting Epta Piges , you will surely say that you are in a heaven!